Parliament is crumbling in more ways than one. But momentum is growing in the labour movement for real democratic reform. 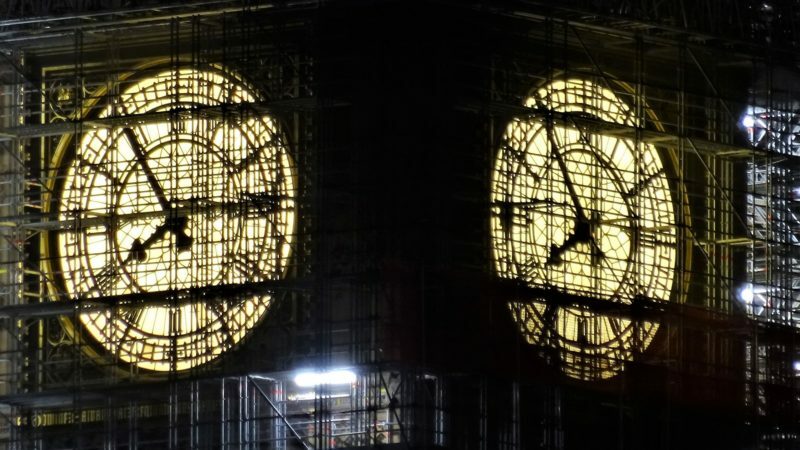 You’ll have seen the scaffolding – and heard the talk of ‘moving out’: the Palace of Westminster is being renovated at the cost of billions of pounds. But amid the talk of a crumbling Parliament, isn’t it time to consider fixing how it works? An institution that once promised government of the people, by the people, for the people seems unable to shake off a tradition of elitism and oligarchy. Previously heralded by traditionalists as a bastion of strong government, the undemocratic truths behind the First-Past-The-Post system are increasingly being realised. As Congress meets for its annual gathering, the STUC has taken the view that the burden of proof has shifted when it comes to reform: the momentum is with those who seek change, not those who support the status quo. This is a significant milestone in the push for an inspiring democratic overhaul. And now a new report by trade unionists – launched today – is highlighting the full extent of the system’s inadequacies, and the opportunities for progressive politics presented by alternatives. So what is so undemocratic about Westminster’s current set up? For one, recent elections have shown it is no longer capable of producing governments with mass support. Instead, it has enabled Tory governments with minority support – to wield unchecked power. The UK Parliament has become part of the broad Westminster model, whose institutions benefit the status quo – those who already have the power. But the system also demands party structures focus their resources on swing seats, the key geographic battlegrounds where elections are won and lost. This is at the expense of workers everywhere else in the UK – policies that would have benefited the vast majority often cannot find favour with a small group of swing voters have struggled to make progress. Now trade unionists are starting to demand a rethink of the UK’s battered constitution. Politics For The Many is pulled together by a group of leading trade unionists campaigning for political reform – and further sets out the case for a change based on past studies and new analysis. Among its key findings is that the voting system is rigged against the left and progressive forces. Inherent bias in the system means, under proposed new boundaries, Labour would need a lead of 8% in the popular vote to secure a majority in the House of Commons, compared to just 1.6% for the Conservatives. This can only breed apathy and distrust. Conversely, Scotland’s proportional voting systems used for local and devolved Parliament elections have helped to allow political engagement and counter alienation. The report further indicates that countries with proportional systems have larger welfare states, lower rates of prison incarceration, and lower economic equality. STUC has been at the core of the demands for Constitutional Change over recent decades, from the Claim of Right for Scotland and the Constitutional Convention, to the response to the Smith Commission on extended powers. Organised workers have been at the forefront of democratic advances throughout history – and we should be part of this one. Whether it be reform of current voting systems, or the need for a UK Constitutional Convention and a shift in the political model, the message must be spread to all those with an interest in fairness and justice: the old Westminster institutions are no longer fit for purpose. It is time for them to be reinvented for the 21st century. Mike Kirby is Unison’s Scottish Secretary.